In Uri, we know how to make the most of our Alpine location. The continual improvement of transport links, for example, has long been focused on assuring a prosperous future. The Swiss values of freedom and independence can traced back to Uri in the year 1291. Today, these values are as relevant as ever: with the opening of the Gotthard Base Tunnel in 2016, the booming new Andermatt resort, and the Cantonal Structure Plan and regional integrated traffic concept focused on growth and opportunity – Uri is all set for the future. Jump on board, find the perfect base for your business success and make your own contribution to the advances taking place in this region! Development of the Reuss Valley is important for the entire canton as it represents the largest area of connected land destined for industrial use in Uri. The public authorities are investing tens of millions in the area, which extends from the new cantonal train station to the area’s dedicated motorway junction. There is potential for the creation of 1,000 new jobs. 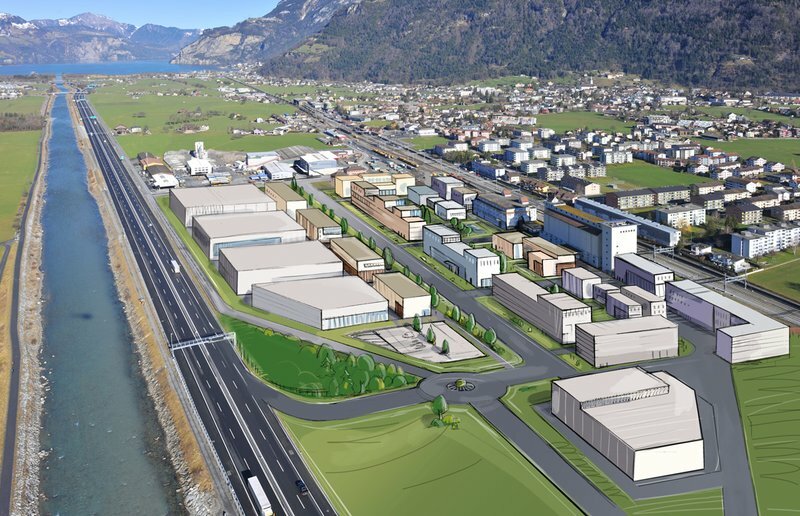 120,000 m² of industrial and commercial land is currently being developed for business use at the “Werkmatt Uri” area in Altdorf. Information about the intended use, development and infrastructure of the area is provided in a district development plan. 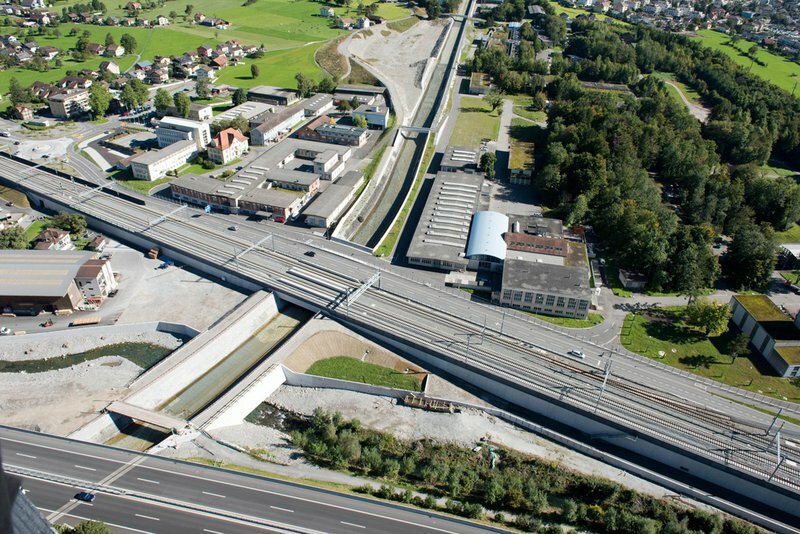 Thanks to the new motorway junction, the opening of the new cantonal train station, the new bus links and an ingenious regional road network, “Werkmatt Uri” will be accessible for all modes of transport. In addition to the building plots in four sectors, there is also space available in two interesting historical buildings. Stefan Büeler and Christoph Müller from the Uri business development office will be happy to provide details on the various options available in no-obligation discussions. Opt for locational benefits and ensure that your company enjoys a tailor-made "plug & produce/work" facility and a favourable leasehold deal on the site. The Altdorf industrial park is one of the prime workplace locations in the Urner Talboden valley region of Canton Uri. It offers ample development space for startups and specialty companies (innovative or traditional) in the metalworking, mechanical engineering and service sectors. The industrial park enjoys good transport links: thanks in particular to the planned West-East link «WOV», which is soon to be realized, access to the site is unparallelled. The site is being transformed from an industrial location formerly used purely for military purposes into an attractive working and living space close to centres of population. The opening-up of the site has made the northern core zone of the industrial park particularly attractive to SMEs of all kinds. In the themed industrial park and the Neuland (open section of the site), companies that set up business here benefit from the service-oriented structures and are able to exploit synergies. In this dynamic setting you will find a suitable environment for your activities and a diverse network of partnerships and expertise. RUAG Real Estate AG is looking Forward to hear from you. At the most central location in Altdorf, the Dätwyler Foundation is renting out modern, representative offices on various floors and in different buildings. The building complex on Gotthardstrasse 31 was comprehensively renovated both inside and outside in recent years. In the bright new rooms, companies and organisations will have the opportunity to design their workspaces and offices individually, furnish them in a modern style, and allocate the spaces in accordance with their needs. Future tenants can really let their creativity flow with the interior design – so many things are possible, which makes the offer so interesting not only for service providers, but also as a training location, studio or medical practice. A secure access system, designated outdoor parking, and a bus stop just in front of the building are additional benefits. This historical, lively village centre of Altdorf can be reached on foot from the Dätwyler Areal in only five minutes. And it is also only a five-minute drive to the motorway connections towards the south and the north. 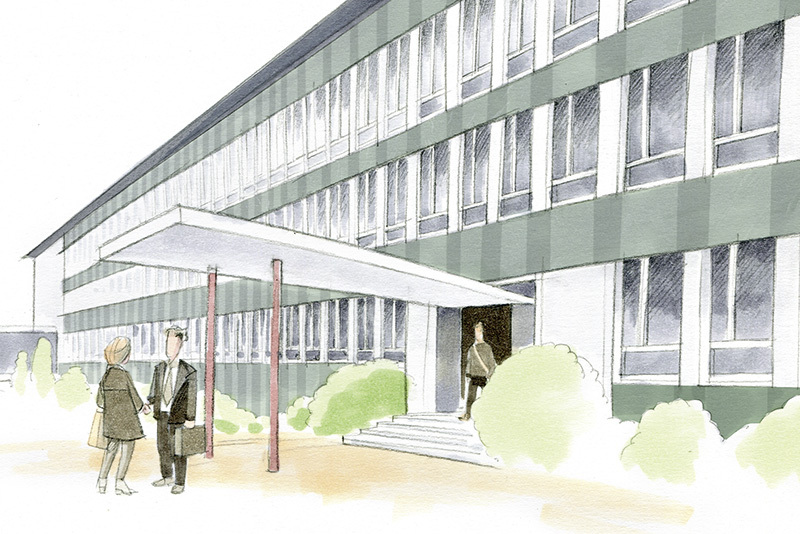 Learn more about this ideal work location – the Dätwyler Foundation looks forward to hearing from you. Please bear in mind that for your business ideas you find in Uri also various areas of smaller size. We look forward to hearing from you! You can find a comprehensive overview of all sites with development potential in the Canton of Uri on the Bauland Uri platform.